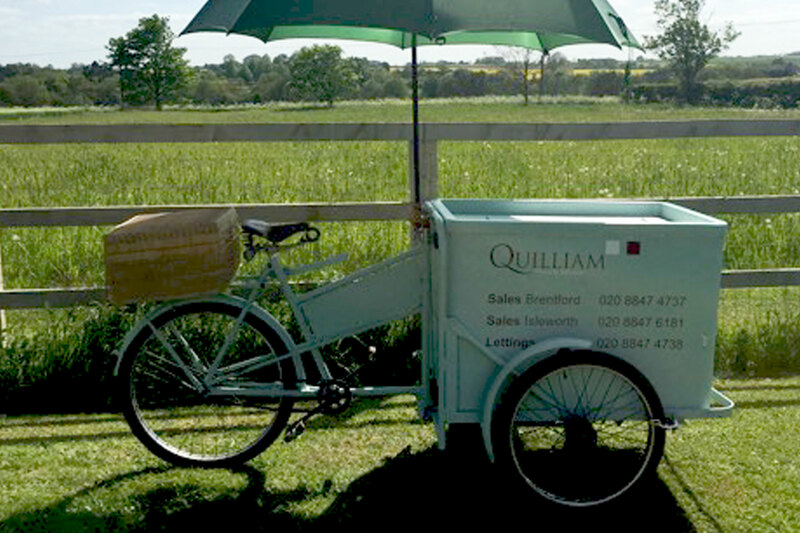 Hire a traditional 1940’s Ice Cream bike for your special day. Our hire prices start from £250 (if you already have a wedding booked with us) and you can choose a combination of 5 flavours to be served in traditional sugar cones. The bike will be staffed at all times and this service is available for 2 to 3 hours per booking. Perfect for any Summer event.